The Best One Day Intensive Available. Take class from some of the best in the industry for one day with no worry about having to compete later. Give it your all, take the knowledge and put it to use. Typical ages for classes: Mini – 8&under, JR – 9-12, Teen/SR – 13-18. These are just guideline ages. You can place your students in the age group that you feel is best for them to get the most out of the day. If any mini’s decide that they would like to move to the JR class after lunch, they can pay the difference and take class in the back with the JR’s. Every 10 paid students gets 1 free teacher. Pay for 40 students and get 5% off regional entry fees. Mauricio Fernandez is originally from Mexico where he received his early training at Estudio de Danza Antoinette de Puebla. To further his dance education abroad he attended, on full scholarship, the Boston Ballet School, Orlando Ballet, Gelsey Kirkland Academy of Classical Ballet in New York City, Idyllwild Arts Academy and Milwaukee Ballet. He has performed with several ballet companies including Compania de Danza Antoinette in Mexico, InlandPacific Ballet, Orlando Ballet, Western Chicago Ballet, Hinsdale Ballet Theatre, Springfield Ballet, Albany Berkshire Ballet and the Kentucky Ballet Theatre. Mauricio is a Tap Gold medalist at Confederacion Inter-Americana de Profesionales de la Danza (CIAD), Intrancefest Tec de Monterrey and received first overall at several international dance competitions. He was a semifinalist in the Spotlight Awards of the Music Center of Los Angeles in 2012 and of the Youth America Grand Prix in 2015. In 2013 Mauricio received the Youth of Mexico Award for his achievements in the arts and has been recognized by AGMA as an Artist of Extraordinary Ability. He is currently working as a guest dancer, teacher, choreographer, and national dance adjudicator. 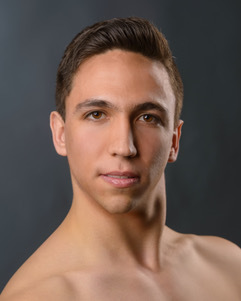 Mauricio is excited to move to Chicago where he’ll be joining the Chicago Repertory Ballet and collaborating with the Chicago Human Rhythm Project as well as joining the faculty at Impact Dance Company and several Chicagoland studios. Born and raised in Boston, Jeffrey Louizia discovered his love for dance at Boston Arts Academy. Proficient in many styles of dance, Jeffrey has studied extensively in ballet, tap, modern jazz, modern, hip hop, krump as well as traditional Haitian Folk dance. 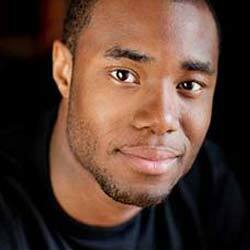 He has studied with such dance masters as Dianne Walker of “Black & Blue”, Mark Morris, Bill T. Jones. and Mandy Moore He received his Bachelor of Arts Degree in Dance from Dean College. Mr. Louizia’s performances have taken him all across New England up and down the Eastern US seaboard, West Coast, and into Canada. His strong base in choreography has led him to choreograph for MC Hammer and direct for his family based dance company Arc en Ciel Dance Troupe Inc, a Haitian folkloric dance co. Jeffrey is also the Director and founder of Lovolution A worldwide movement where love and self-worth are brought to awareness through dance. Since moving to Los Angeles he has been in many music videos and industrials including Sketchers, Black Eyed Peas “Rock Your Body,” Taio Cruz “Dirty Picture,” Ace Hood ft Lil Wayne and Rick ross “Hustle” and American Idol winner Alexandra Burke’s “Start Without You.” Jeffrey Louizia is currently dancing with Odyssey dance theater performing productions thriller and Romeo and Juliet, in salt lake city Utah and touring Europe. He is also a featured Dancer in the movie dear dumb diary also the hip-hop director for the millennium dance complex hip-hop boom crew in salt lake city. Jeffrey Louizia loves to teach, motivate and inspire as well as being inspired by all who share and do not share his love for dance. He truly believes that in being your true self and living to your fullest you must walk in love. Victoria Pizzo was born and raised in New Orleans, Louisiana where she trained, choreographed, and danced competitively until she was 18. She then went to Chapman University where she received a BFA in Dance Performance and a minor in English Literature and Creative Writing. At Chapman she fell deeper in love with choreography and truly began to perfect her craft in that avenue of dance. Since graduating in 2015, she has worked professionally as a dancer and choreographer around the country and internationally. She is the first ever winner of the choreography contest Make Your Move LA and a member of the Miss Universe choreography team. She has choreographed and danced in music videos, commercials, films, and live tv broadcasts and is represented by Go 2 Talent Agency. She teaches regularly in California and loves sharing her knowledge and experience with the younger dancers of today. Melody is from Daly City, Ca. She attended the School of the Arts where she trained in classical and contemporary ballet, modern jazz blues and Afro-Haitian and also received extensive training in lyrical, jazz and modern as a member of The Dance Company of San Francisco under the direction of Chris Jacobsen. 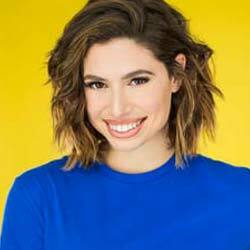 Since moving to LA, some of her credits include Sonya Tayeh Dance Company, Evolution with Mark Meismer, Soul Escape, TV Guide Channel, The Ellen DeGeneres Show, American Idol Gives Back, American Idol Finale, the Emmy’s, and the “Tea Party” music video for Tim Burton’s Alice in Wonderland. She most recently appeared on Glee, the MTV European Music Awards, Wetten Das, and just completed Miley Cyrus’ “Gypsy Heart Tour” in South America, Asia and Australia, choreographed by Sonya Tayeh. Melody was the top female dancer on season one of the hit FOX television show, “So You Think You Can Dance”. She has been traveling the world as a teacher, choreographer, performer and guest artist.